Although for many people the thought of using a credit card to pay for items which are not affordable in cash terms seems like a risky use of money, there are additional benefits to paying for something on credit which are not immediately obvious. Each person’s individual circumstances vary and of course credit or loans might not always be suitable, but where appropriate the extra features can be incredibly useful. 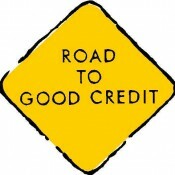 Items purchased on credit offer an extra level of security. When items or services are purchased between the values of £100 and £30,000 the credit card company is liable jointly with the merchant to make sure that it arrives. If it never comes, or arrives in a faulty condition, it is easier to claim back the money than if paid for with cash to the manufacturer. This is governed under the 1974 Consumer Credit Act, Section 75, giving consumers extra rights. Particularly as people are spending increasing amounts of money on the internet, whereby manufacturers and retailers are never met in a face to face situation, it can offer extra levels of protection to know there is the route of recourse available should things not go well. Fraud levels are rising, and where companies can construct a website, take payments for goods and then disappear without a trace, being able to claim some of the money back from the credit company is a useful tool. In addition, the Consumer Credit Directive also protects customers whose purchases are between the values of £30,000 and £60,000 – ideal for holidays or car purchases. Of course, the other major benefit of using credit cards or loans is that the payment schedule can be spread over a lengthy period of time. New customer interest rates on credit cards are often 0% for a limited time, allowing for payments to be made which spread the balance without incurring extra charges. This allows for better money management and financial planning, as well as the fact that savings which might otherwise have been used can continue to accrue interest. Balance transfers with credit cards allow for debts to be combined into more affordable payments, though for this purpose it is generally more common to use a loan of some sort. Interest rates on loans are typically more manageable. For international travel, too, a credit card can be a cost effective way of spending money rather than using local exchange centres.